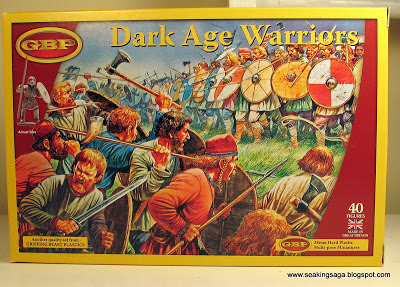 My review is simple - if you play a miniature game in the Dark Ages, buy them. Forty figures for about $32 is a great deal, and the sculpting quality could shake even the biggest metal snob. I purchased mine from Architects of War, great service as always. Where and when to use these troops will be a matter of some debate at the fringes. From the Bayeux Tapestry to the Viking hoards, we know the material culture of the elite class in the early Middle Ages. For the poorer troops, it is a matter of speculation in many cases. 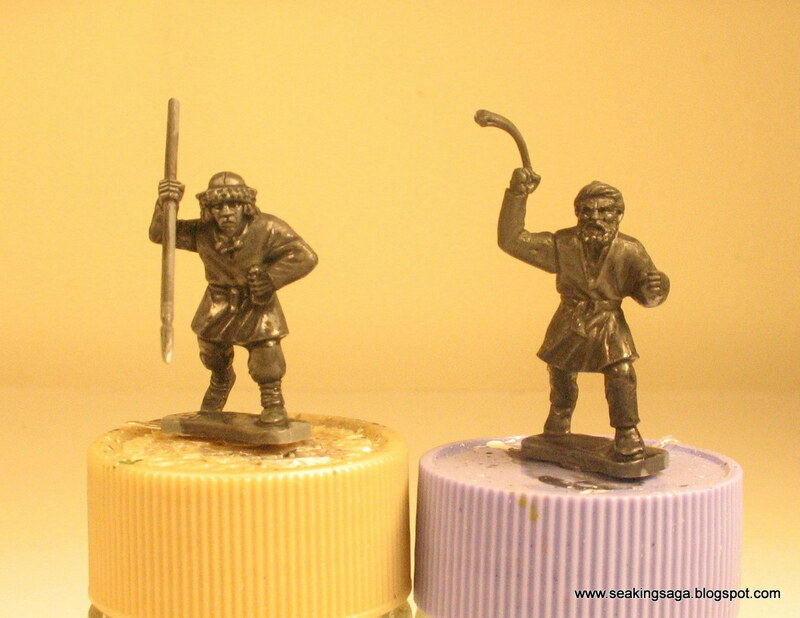 These are the men who worked the land of a jarl or a duke and picked up a sword or spear when called. 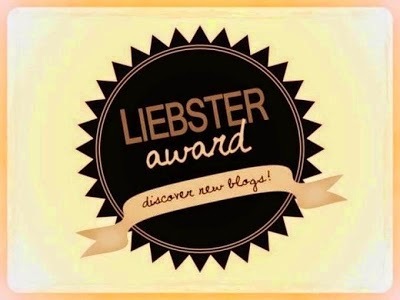 Not exactly the peasant rabble, but not professional warriors, either. The models can conceivably by used from the Arthurian period into the twelfth or thirteenth century, but they are obviously intended for the Viking Age, the ninth through eleventh centuries. Geographically, the ideal placing is northern Europe, but with some shield swaps and lighter/brighter fabrics they could work anywhere from Iberia to Byzantium. For fantasy wargaming, these could fit on any fantasy table of your choosing, from Middle Earth to Westeros. 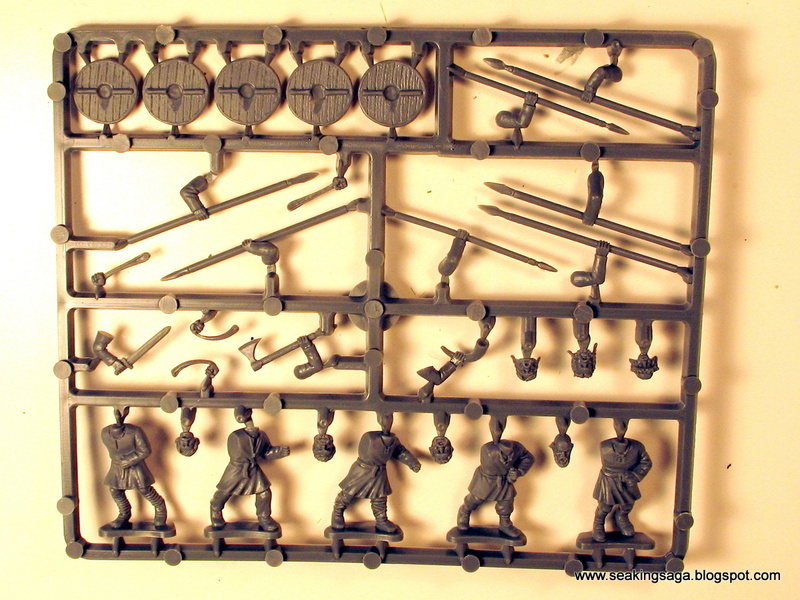 Each sprue contains five bodies and eight heads. The left arm is fixed on all the bodies and the right arm is the one with weapon options. That's understandable, but as lefty, I like to throw the occasional southpaw into my army, accurate or not. (He's the expendable guy on the end of a shield wall). 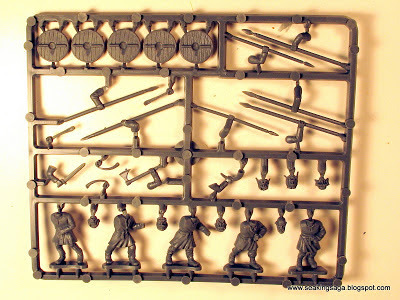 There are enough spears (seven) and shields on each sprue for all the bodies. Other arms include one axe, one sword and one hornblower. 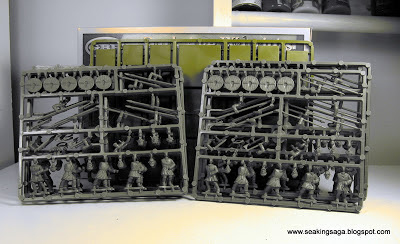 Also included are five hands holding slings, so you will need to cannibalize one of the spear arms to attach the hand. The slings are a nice addition, as I have always intended to add them to my collection, but always cut them at the last minute in favor of something more relevant or menacing. Also, a thin hard plastic sling looks more natural than the bendable lump on a metal figure. I expect there will be some criticism for the lack of bows in the package. I think the exclusion is a wise choice. 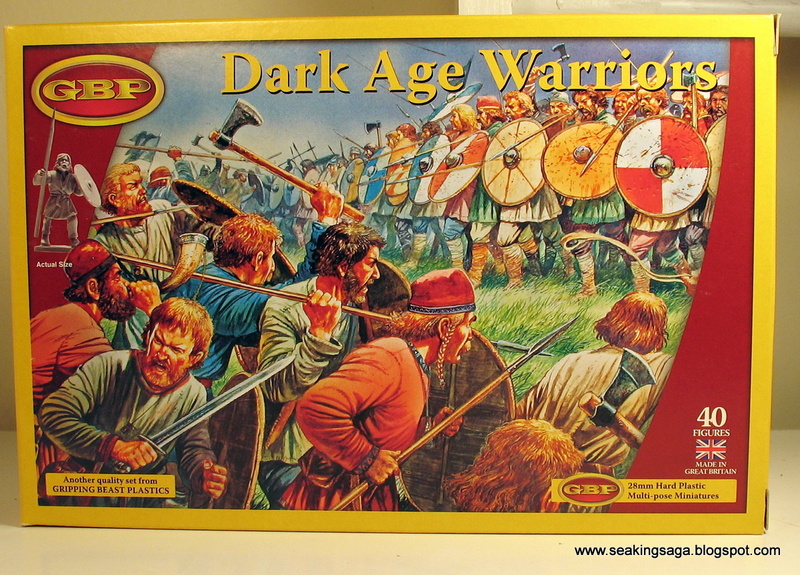 A good bow pose is fairly unique and not interchangeable with other weapons - look at the awkwardness of Wargames Factory's Dark Age Saxons and Vikings. 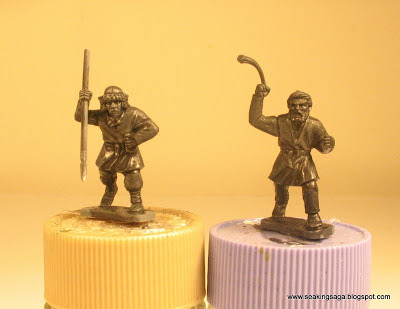 Hopefully, Gripping Beast or Conquest Games is planning some plastic archers in the near future. I do not have anytime to paint for at least a week or so, but here are five assembled bodies with a black wash. I particularly like the head on the top left figure. The fur lined helmet could fit in a Rus or Slav unit. The slingers are headed for El Cid's army. Very Interesting review. Do you feel these bare heads could fit on GB bodies from other plastic sprues? Aren't these head a little oversized? 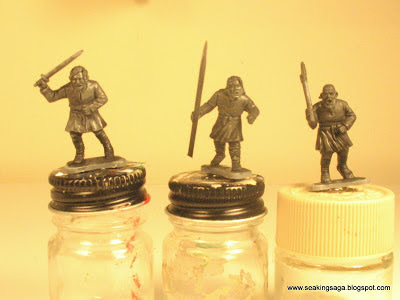 They probably are a little oversized, as most 28mm minis are today. While I do not have a body from the armored GB Dark Age warriors, I have recently put a GB helmeted head on an unarmored body and it seemed to match the same. I'll post the pic in a new post.